Spider-Man: Into the Spider-Verse is just over two weeks away, but Sony is already pondering the future of its latest take on the arachnid superhero. Via The Hollywood Reporter, the studio is developing a sequel to next month’s film as well as a spinoff headlined by female characters. According to the report, Sony has tapped Joaquim Dos Santos to helm the Into the Spider-Verse sequel. He would take over from the team of Bob Persichetti, Peter Ramsey, and Rodney Rothman, all of whom directed the original film. Dos Santos is no stranger to animation, having worked on series like Justice League Unlimited and Avatar: The Last Airbender. He’s also one of the showrunners for Netflix’s Voltron: Legendary Defender. 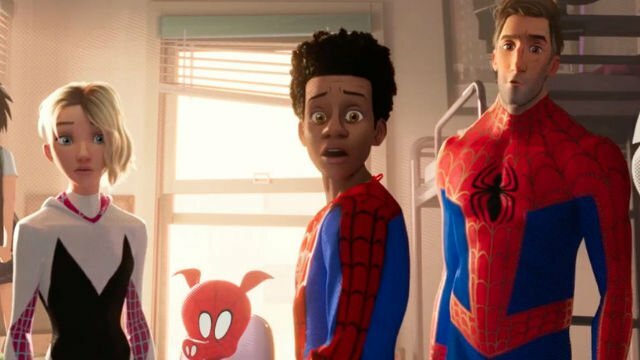 It’s not clear if the follow-up to Into the Spider-Verse will feature characters from more parallel universes. However, it goes without saying that the producers have plenty of wallcrawling incarnations to choose from. Meanwhile, Lauren Montgomery is Sony’s choice to direct the female-centric spinoff with Bek Smith (Zoo) writing the screenplay. Montgomery is known for co-directing animated DC movies like Batman: Year One and Superman/Batman: Apocalypse. With a resume like this, making the jump to the Marvel universe shouldn’t pose a big challenge for her. The real question is which characters will make an appearance in this film. Into the Spider-Verse already includes Spider-Gwen and Peni Parker. For a spinoff, they could potentially be joined by any of the four Spider-Women, Madame Web, Spider-Girl, and more. Sony’s confidence in Into the Spider-Verse certainly bodes well for the film’s success. Of course, this is also the same studio that greenlit two more entries in The Amazing Spider-Man series before that franchise’s second installment fell short of expectations. Although Into the Spider-Verse looks visually dazzling, it’s probably best that we take this news with a grain of salt. Spider-Man: Into the Spider-Verse arrives in theaters on December 14. What do you make of Sony’s decision to greenlight a sequel and spinoff? Which characters would you like to see appear in these films? Share your thoughts in the comment section below!